Theoretically, a self-driving car could operate using only a suite of sensors that detected objects such as other cars, pedestrians, and road markings. It would, however, be incredibly difficult. The sensors would need to perform at a higher level than they are currently capable of and could not slip in performance in adverse driving conditions. And every time a driverless car traveled a route it would be as if it was doing so for the very first time. That is why so much work is being done in the realm of HD mapping. Building digital, three-dimensional road maps for autonomous systems is the ideal companion to sensors, with each making the other’s job easier. But building these maps is no easy feat either. Mapping all the world’s roads at a high resolution is an enormous task, and that’s without even mentioning the fact that these maps need to be continually updated to be useful. Mobileye, the Israeli automotive sensor company purchased by Intel for $15.3 billion last year, may be approaching a solution. At CES, Intel CEO Brian Krzanich announced that 2 million vehicles from BMW, Nissan and Volkswagen are now equipped with Mobileye technology to perform the data collection necessary to build three-dimensional maps for autonomous vehicles. In the past, most mapping was done from the top down — think Google Street View vehicles that systematically map neighborhoods. 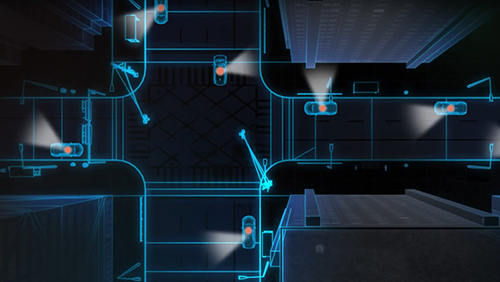 What Intel’s approach does is to transform any car equipped with Mobileye’s technology into a mapping device. The data that will be used to generate these maps will be harvested by Mobileye 8 Connect, the advanced driver assistance system (ADAS) that provides safety technology to drivers and connectivity features to fleet owners. Remarkably, the system that will build these maps — which can be retrofitted onto any car — consists of just a single camera sensor and the so-called “EyeQ” processing system that accompanies it. In retrofitted cars, this system sits on the exterior of the windshield. According to Mobileye, its uses extend beyond consumer and private sector applications. Cities also could generate incredibly valuable data from Mobileye 8 Connect. With Mobileye 8 Connect expected to launch later later this year, Intel is on a path toward becoming the leader in 3D HD maps for autonomous vehicles, which could make it an increasingly necessary partner for all AV developers.